AGAIN, I forgot to take a before picture, but here is a picture of something very similar to give you an idea of what I started with. It's a small wooden entertainment unit from Knots Pine that has been stained. 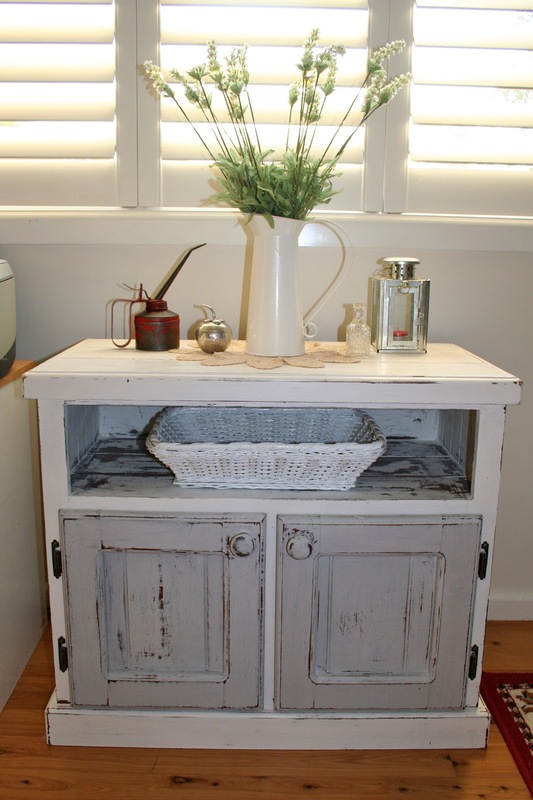 Now, it is an antiqued side table with storage and painted a two tone white and grey. I love this effect. Firstly I sanded the whole piece, then removed the doors. 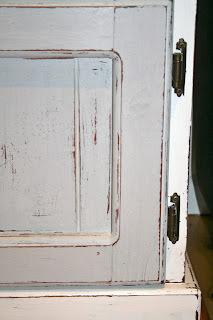 I mixed up some chalk paint and tinted it grey. Then painted the doors. 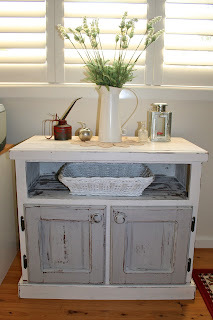 Some more chalk paint in white was added to the entire unit. This was left to dry over night. 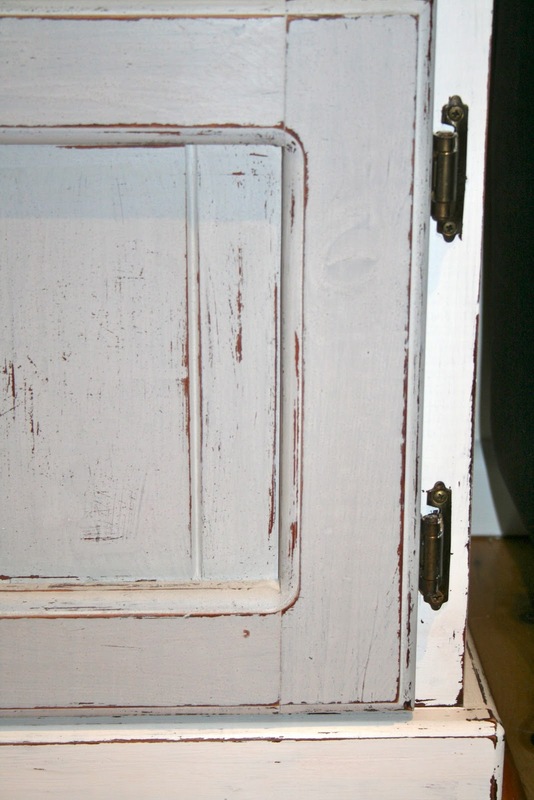 Then I gave the piece a light sand to remove the gritty bits that the chalk paint had left behind. A little bit of distressing, then reattached the doors. Finally I gave the whole unit a coat of furniture wax. This lovely unit is now situated next to our lounge. I love it. 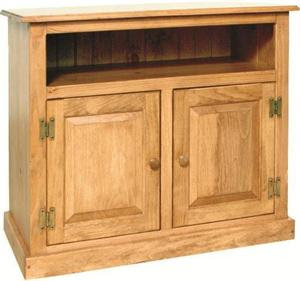 Not only does it have lots of storage, its a great height and not too deep.